THE kestrel is perhaps our most familiar bird of prey, because it is so frequently seen hovering above roadsides while hunting for small rodents. While it is commonly seen doing this, kestrel numbers have significantly declined in recent years, putting it on the Amber List. 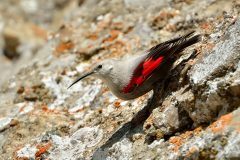 This species occurs over a large range, including Europe, Asia and Africa. In the temperate parts of its range, some birds migrate south in winter. They prefer open ground to hunt in, including fields, heaths, scrubland and marshland. 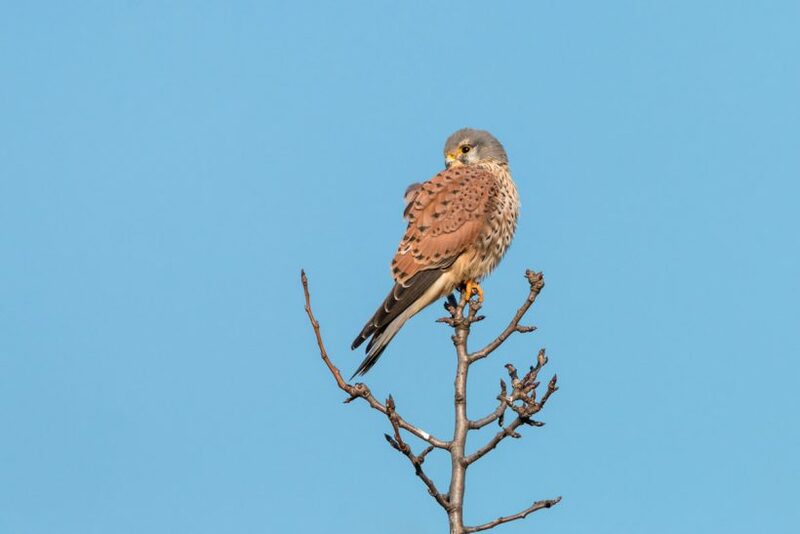 Kestrels do not require woodland, as long as there are alternative perching and nesting sites available, such as rocks and buildings. Individuals can adapt to live in treeless steppe and even built-up areas, so long as there is enough vegetation to provide food. 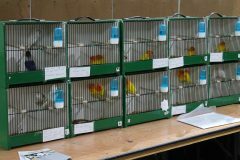 Their diet comprises not just small rodents caught from the hover, but also invertebrates, worms and small birds. Their ability to hover led to the kestrel getting the old English name “windhover”. They will generally do this from 10-20m (32-67ft) above the ground and fly into the wind, gradually reducing height as they spot prey and then dropping quickly to catch it. Notched and emarginated feathers help the kestrel achieve this form of flight. Another less-noticeable method of hunting is to perch over ground cover to await prey. In common with most birds of prey, the kestrel has excellent eyesight, enabling it to spot small prey from a distance. It is even reported to see near ultraviolet light. Kestrels are sexually dimorphic; the male has a silver-grey head and tail, and a rufous-brown back. The female is a more subtle brown all over with far more spots on its back. Nests are situated in tree cavities or buildings, such as churches. Occasionally, they will use an old crow’s nest in which to lay their three to four eggs. Incubation lasts for four weeks and is only done by the female, while the male provides food. When the chicks are hatched and established, the male will share brooding duties. The young kestrels fledge after four to five weeks and stay close to the parents for several more weeks while they are taught to hunt and generally fend for themselves. This species is commonly kept in captivity. They are a frequent sight at bird-of-prey centres, where the public can see this beautiful bird at close quarters. Primary feathers are brown-black, with the proximal part of the inner web featuring comb-like white bars. P8 and P9 are emarginated and P10 has a deep notch. The secondaries are marked similarly, except that as they progress inwards, the bars become much narrower. Tertials from a male are rufous brown with a black tip. The female’s tertials are a subtler brown and heavily barred black. The male’s tail feathers are silver-grey with a broad subterminal black bar and thinly tipped white. The inner pairs are unbarred, but the outer three or four pairs have varying black bars on the inner web. Female tail feathers are rufous brown and heavily barred with black. They also have a broad subterminal black bar tipped white. ■ Please note: The author has ensured that no birds have been deliberately harmed or distressed in the collecting of any feathers featured in this series and has acted legally in accordance with all the relevant general Government licences. Feathers have been collected as naturally moulted examples, from historic taxidermy mounts or bird of prey kill sites etc.